Home » Posts Tagged "HB 2034"
The Senate Education Committee worked the PNA bills that had hearings in the Committee. SB 136 is the bill crafted by the education community (KASB, KNEA, USA-KS, KSSA) while SB 176 is the bill that essentially ends collective bargaining. Discussion started with a motion to pass SB 136. Sen. Fitzgerald amended the bill by making it a virtual match for Dave Trabert’s bill, HB 2034. A motion to pass the amended bill out of committee failed. Senator Caryn Tyson was asking for clarification on what the bill and amendments now did. She argued that she did not believe teachers should be taken out of the negotiations process. The Committee recessed to allow members to more closely examine the bill. On a motion by Sen. Tyson, the committee voted to reconsider their action killing the bill. Sen. Hensley pointed out that as amended, the bill would create more conflict between boards and teachers as each side could block the other by refusing to agree to negotiate a topic. A new vote was taken on moving the amended bill forward. This time the bill passed on a 6-5 vote with Hensley, Pettey, Schmidt, Kerschen, and Baumgardner voting NO. There appears to remain some confusion among the Committee members about what actually passed and what its impact might be. We would suggest that the issue remains somewhat fluid and there may be attempts to further amend the bill. As it sits now, the Committee essentially voted in favor of Dave Trabert’s so-called “minority report” bill. Adoption of this amended bill represents one more time that legislators – who called upon the education community to craft changes to the PNA – chose to ignore the entire education community in favor of a proposal from anti-education lobbyist Dave Trabert. The House Education Committee held a hearing today on HB 2139, a bill sponsored by Rep. Rubin to repeal provisions in law allowing the children of undocumented workers to benefit from in-state tuition rates and Kansas post-secondary education institutions. Rubin and Secretary of State Kris Kobach testified in favor of the bill saying that it is contrary to federal law and rewards illegal behavior. Several other proponents complained of unfair treatment for kids from other states or the Obama administrations immigration policy. Opponents of the bill included the Kansas Board of Regents, League of United Latin American Citizens (LULAC), KNEA, KASB, religious leaders and a number of students now attending colleges and using the in-state tuition rates. The Kansas policy on in-state tuition for these students requires that they have lived in Kansas for at least three years, graduated from a Kansas high school and sign an affidavit indicating they will seek legal status as soon as they are eligible to do so. It has been in effective for 11 years and over 600 students now take advantage of the policy. There have been many attempts to repeal the law over the years but none have succeeded. The full Senate this afternoon advanced SB 56, a bill that removes the “affirmative defense” for K-12 teachers in Kansas. The bill will be subject to a second vote on the Senate floor tomorrow. If passed, it will go the House for consideration. Legislators ignore educators! TAKE ACTION NOW! Yesterday the House Commerce Committee held a hearing on HB 2326, a bill resurrected from 2013 that end the right of teachers to choose an exclusive bargaining agent and would radically limit what teachers and school boards would be allowed to negotiate. This bill is not only a direct attack on teacher rights, it grants an individual teacher the right to negotiate his/her own contract but allows a school board to refuse to negotiate. It limits what school boards may discuss in bargaining, and taken the direction that Reps. Marvin Kleeb and Erin Davis argued, would create a labor nightmare for school administrators who would have to either negotiate with every teacher or refuse to negotiate with anyone (that would help morale!). The bill was opposed by the Kansas Association of School Boards, the Kansas NEA, the Kansas School Superintendents Association, and United School Administrators of Kansas. The history of this bill is interesting in that it first emerged in 2013 in the Commerce Committee then chaired by Rep. Marvin Kleeb. After several weeks of contentious hearings, Kleeb called the four education groups and directed them to negotiate changes to the bargaining law that would be acceptable to all four. That is exactly what the groups did. The met for 18 months during which they gauged the needs and priorities of their members, exchanged ideas, brought in a negotiations facilitator, and negotiated in good faith seeking to secure the very agreement Kleeb requested. In January the groups came to agreement and had a bill drafted reflecting that agreement (SB 136 and HB 2257). The groups first unveiled the agreement in a meeting with Rep. Kleeb believing that he would be excited that we had done he had requested. Instead, in working the bill today, Kleeb joined Rep. Erin Davis in urging the committee to essentially ignore the education community and adopt a bill we all oppose. HB 2326 was passed out of committee and now goes to the full House for consideration along with HB 2034 a bill that limits negotiations to salary only requested by anti-public education lobbyist Dave Trabert. HB 2034 was adopted by the House Education Committee. This action puts two bills intended to essentially end collective bargaining for teachers on the House floor at the same time. In the meantime the Senate Education Committee held a hearing on the education organizations’ bill, SB 136, and on Monday will hold a hearing on SB 176, a bill to limit negotiations to minimum salaries and end mediation and fact finding. Neither bill has yet been adopted by the Senate Committee. 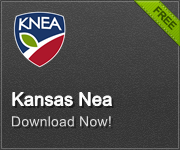 Click here to access the KNEA legislative alert portal. Once there click on the “Issues and Legislation” tab. Scroll to the bottom of the “Current Action Alerts” box and click on the “Kansas – Listen to educators! link. You will be sent to an email message for legislators that you can use as is or edit and send. HB 2034 would amend the Professional Negotiations Act so that the only mandatorily negotiable topics would be “salaries and wages” and “hours and amounts of work.” A board of education would have to agree to negotiate any other topic. There are no association rights that would be mandatorily negotiable under this bill. This change would apply only to K-12 and the Kansas State Schools for the Deaf and Blind. Community colleges and technical colleges would continue to be required to negotiate any topic they currently are required to negotiate. The following points, bullet items, descriptions and / or summaries are intended as a quick “thumbnail sketch” of a particular bill. Please view the full bill language on the Kansas Legislature website for more information and complete language and changes for each bill.